Patrick Brown will be a student at Princeton University’s Woodrow Wilson School of International and Public Affairs this fall. Mr. Brown has previously worked as associate editor of the Monitor, the newspaper of the Roman Catholic Diocese of Trenton, NJ, and for Catholic Charities USA as a government relations and communications staffer. He has written for National Review, First Things, the Washington Times, Public Discourse, and The Federalist. Mr. Brown holds a B.A. in Political Science and Economics from the University of Notre Dame. Jonathan Coppage is a senior staff editor at the American Conservative. Mr. Coppage writes regularly for the American Conservative, where he directs the "New Urbs" program, and has also been published in the Washington Post. 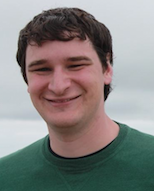 He has previously interned at the New Atlantis, and in 2012, he was a Hertog Fellow. Mr. Coppage holds a B.A. in Political Science from North Carolina State University and previously attended the University of Chicago. 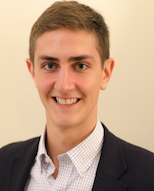 Benjamin Daus-Haberle is an MPhil candidate in International Relations at the University of Oxford. Prior to attending Oxford, Mr. Daus-Haberle worked as program coordinator for the office of Dr. Zbigniew Brzezinski at the Center for Strategic and International Studies. He was also a research assistant for Yale’s International Security Studies Program and managed a student-run micro-lender in New Haven. Mr. Daus-Haberle holds a B.A. in History from Yale University. 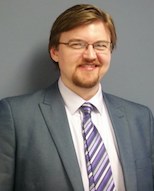 Ross Lawrence is assistant director of audience strategy at the American Enterprise Institute (AEI), where he oversees audience development, including framing the core AEI mission for new communities. Mr. Lawrence previously served as a strategy and partnerships manager at Atlantic Media Strategies, where he developed comprehensive plans for media brand positioning. As an undergraduate, he was editor-in-chief of the Cavalier Daily at the University of Virginia. Mr. Lawrence holds a B.A. in Economics along with a distinguished major in Political Philosophy, Policy, and Law. 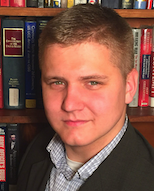 Nathaniel Madden is a staff writer for Conservative Review (CR), where he focuses on religion and culture, and is also the producer and moderator for CR’s weekly Capitol Fight Club podcast. Mr. Madden has previously served as the director of policy relations for the 21st Century Wilberforce Initiative. He is also a John Jay Fellow, Citadel Parliamentary Fellow, and National Journalism Center alumnus. Mr. Madden’s works have been published in World magazine, the Washington Times, Catholic News Service, Patheos, Ethika Politika, and the Christian Post, and in 2015, he won the Washington Times Idol competition. He holds a B.A. in Political Science and German Language & Culture from The Citadel, The Military College of South Carolina, with a focus in International and Military Affairs. 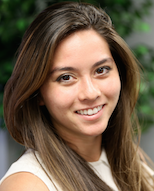 Kayla Nguyen is a fellow at the John William Pope Foundation, where she works on capacity building projects for the foundation's grantees, focusing particularly on organizations that work with policy and youth programs. 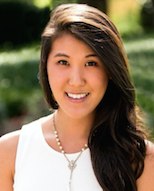 Ms. Nguyen has previously studied as a Summer Institute student at the American Enterprise Institute (AEI) and was a Hatton W. Sumners Foundation Scholar. She has also been published in The Federalist. Ms. Nguyen holds a B.A. in Politics from the University of Dallas with a concentration in International Studies. Hannah Oh is deputy to the CEO at Jamestown Associates, a Republican political consulting firm. She was previously editor-in-chief of the Claremont Independent, where she directed, edited, and published content that circulated among top national media outlets, including the Wall Street Journal, the Weekly Standard, the Washington Times, and the Washington Post. Ms. Oh’s articles have been published in the New York Times, The Hill, and National Review Online. She holds a B.A. in Government from Claremont McKenna College. Rachelle Peterson is the director of research projects at the National Association of Scholars, where she leads research projects on higher education curriculum, culture, and policy. Mrs. Peterson is the author of Inside Divestment: The Illiberal Movement to Turn a Generation Against Fossil Fuels and co-author of Sustainability: Higher Education's New Fundamentalism, both published by the National Association of Scholars. Her articles have been published in the Wall Street Journal, the New York Times, National Review Online, The Federalist, the Weekly Standard, and Commentary magazine. Mrs. Peterson has also appeared on WSJ TV, The Lars Larson Show, The Mike Siegel Show, and The Mike Rosen Show. She holds a B.A. in Politics, Philosophy, and Economics from The King’s College. 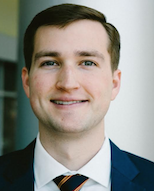 Jacob Reses is the director of strategic initiatives and advisor to the CEO at Heritage Action for America, where he assists in articulating the organization’s vision to external constituencies and coordinates projects such as the organization's presidential platform review. His writings on politics and policy have appeared in National Affairs and National Review. 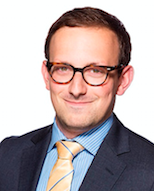 Prior to joining Heritage Action, Mr. Reses worked as a researcher for Baron Public Affairs and as a research assistant for the 2017 Project, an organization devoted to the development of a reform-oriented conservative domestic policy agenda. Mr. Reses holds an A.B in Public Policy from Princeton University. 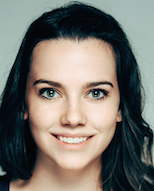 Kelsey Rupp is a political reporter at the Independent Journal, where she writes on the 2016 election, abortion policy, social and religious issues, and other political news. 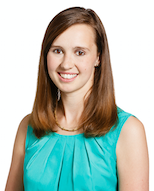 Prior to the Independent Journal, Ms. Rupp was previously an Editorial Board Fellow at USA Today. She has contributed articles to USA Today and is a Collegiate Network Journalism Fellow and an Intercollegiate Studies Institute Honors Program Fellow. As an undergraduate, she was also editor-in-chief of her school newspaper, the Carolina Review. Ms. Rupp holds a B.A. in Economics and Political Science from the University of North Carolina at Chapel Hill. 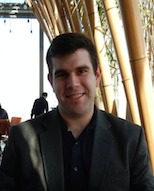 Blake Seitz is an assistant editor at the Washington Free Beacon, where his work focuses on politics, public policy, and culture. Mr. Seitz’s work has appeared in the Weekly Standard, National Review Online, the Washington Free Beacon, the Washington Examiner, and the College Fix. He was also the recipient of the 2013 Jeff Zaslow Scholarship, awarded by the National Society of Newspaper Columnists to the year's best collegiate columnist. As an undergraduate, he co-founded an award-winning campus magazine, the Arch Conservative, and served as editor-in-chief during its inaugural year. Mr. Seitz holds two degrees, a B.A in Political Science and an M.P.A. from the University of Georgia. 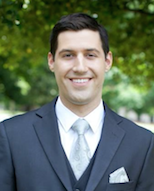 Thomas Wheatley is a law student at the George Mason University School of Law. A first lieutenant in the United States Army, Mr. Wheatley plans on serving as a judge advocate upon graduation. Recently, he has clerked at the United States Court of Appeals for Veterans Claims in Washington, D.C., where he researched judicial ethics and employment law. Mr. Wheatley has been cited by the Washington Post and the Wall Street Journal, and has published in outlets such as the National Law Journal, the Washington Times, and The Hill. He holds a B.S. in Homeland Security from Embry-Riddle Aeronautical University. Melika Willoughby is deputy communications director for Kansas Governor Sam Brownback. Ms. Willoughby’s duties include speech writing, press releases, interview preparation, and grassroots engagement. She is also responsible for the social media messaging and digital communications for both Governor Brownback and Lieutenant Governor Jeff Colyer. 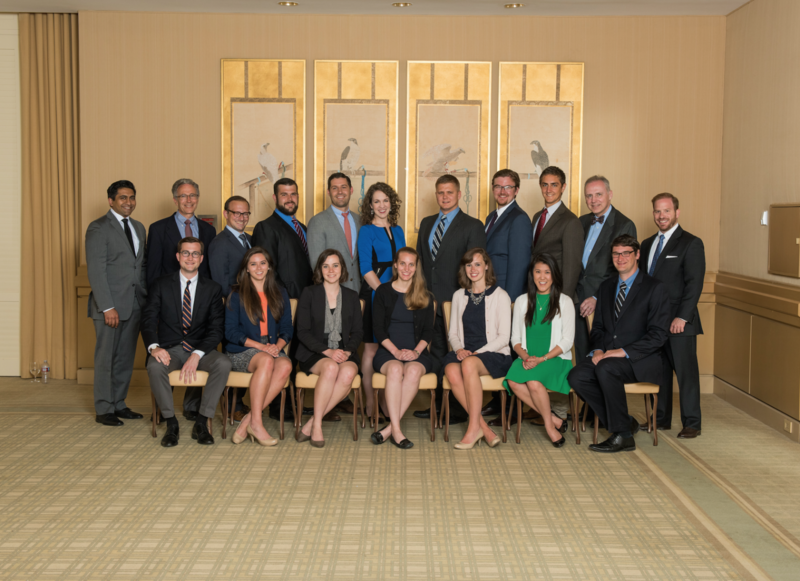 As an undergraduate, Ms. Willoughby earned the Edward Everett Prize in Oratory and was named a George Washington Fellow, a competitive Fellowship preparing students for public service through rigorous study of constitutional principles and statesmanship. She holds a B.A. in Politics from Hillsdale College. 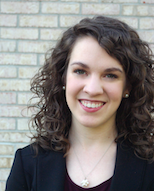 Melody Wood is a research assistant at the DeVos Center for Religion and Civil Society at The Heritage Foundation. Ms. Wood’s research supports Heritage scholars on issues of religious liberty, marriage, and the pro-life debates. As an undergraduate, she was president of Christendom College’s Cincinnatus League, where she organized bi-weekly meetings with fellow students and faculty to discuss political philosophy and hosted campus-wide events for prominent scholars. 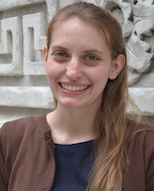 Ms. Wood is also an Intercollegiate Studies Institute Honors Program Fellow, and she holds a B.A. in Philosophy and English Language & Literature from Christendom College.